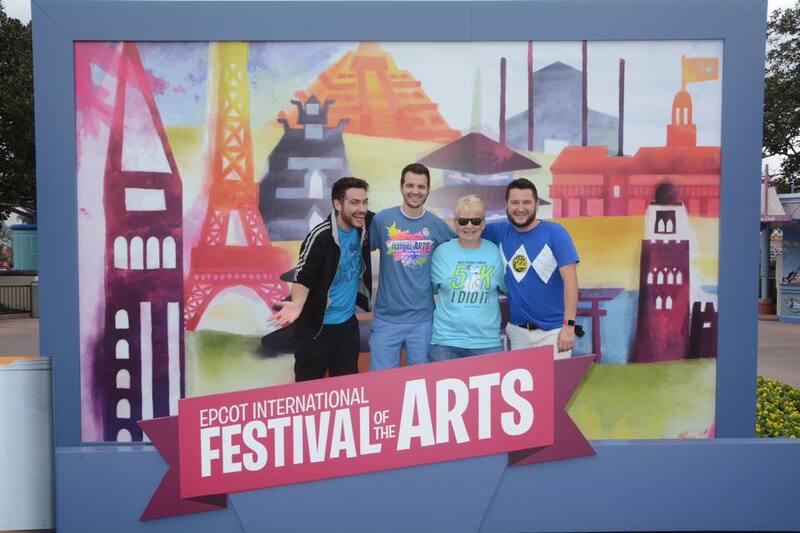 You may have seen some of the fun, new photo opportunities that were taken by some of the members of the DIS Unplugged team during the first weekend of the Epcot International Festival of the Arts. 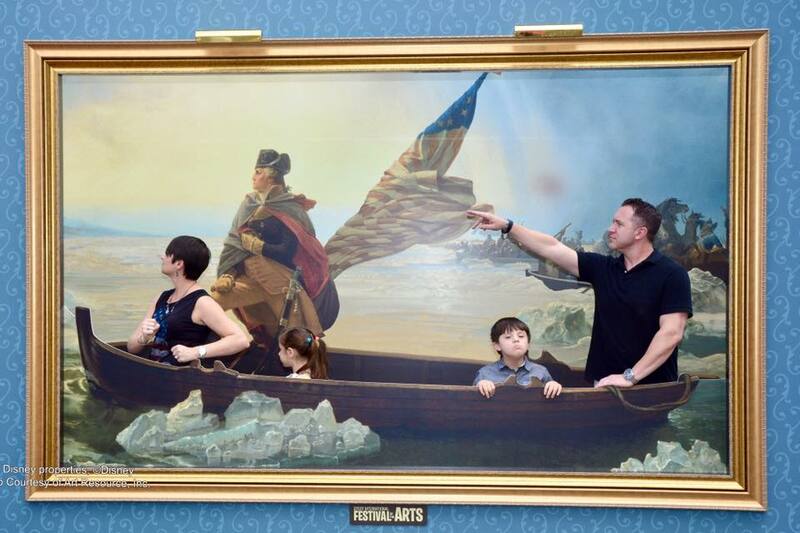 These artful photo opportunities let guests blend into some of history’s most recognizable masterpieces! Here is a look at them just in case you didn’t see them yet. For example, embody the spirit of freedom as you cross the Delaware with George Washington at The American Adventure pavilion in World Showcase. 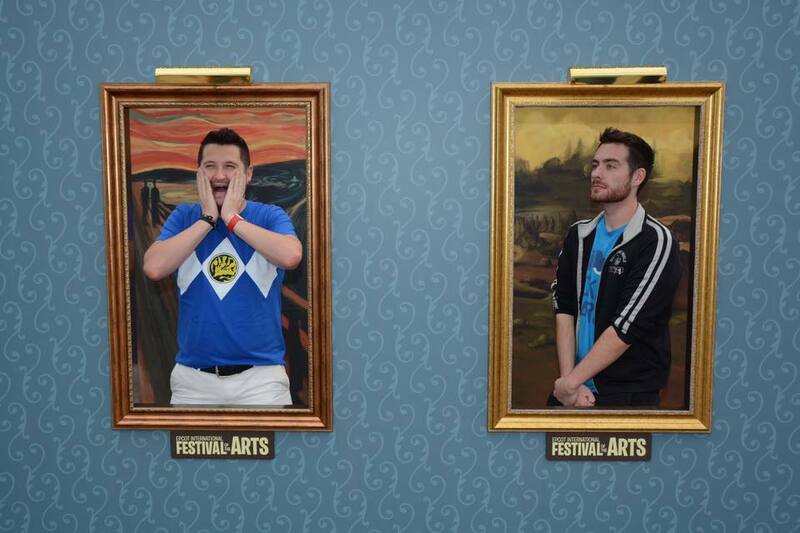 Scream along in the famous Edvard Munch painting or flash a Mona Lisa smile in the Italy pavilion. 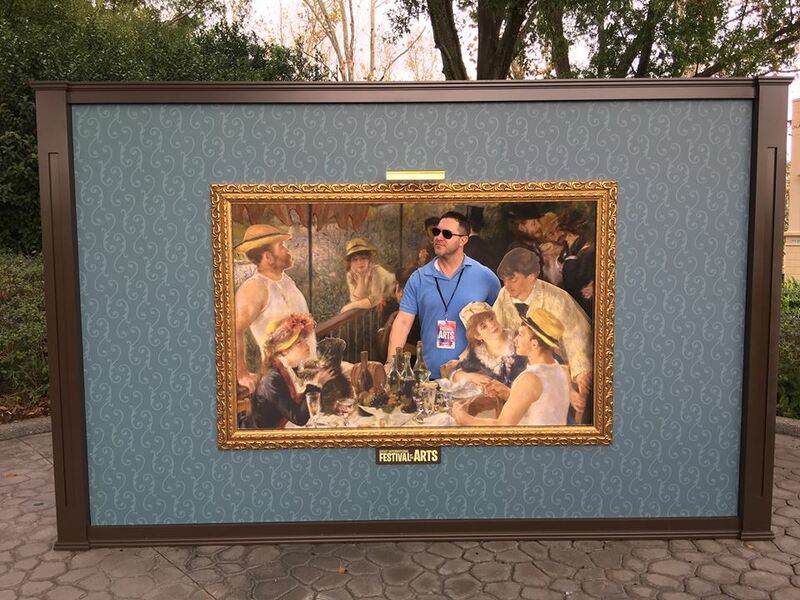 Near the United Kingdom pavilion, join in Pierre-Auguste Renoir’s famous, idyllic luncheon. Now, for something new that is sure to put a smile on the face of any Figment fan! 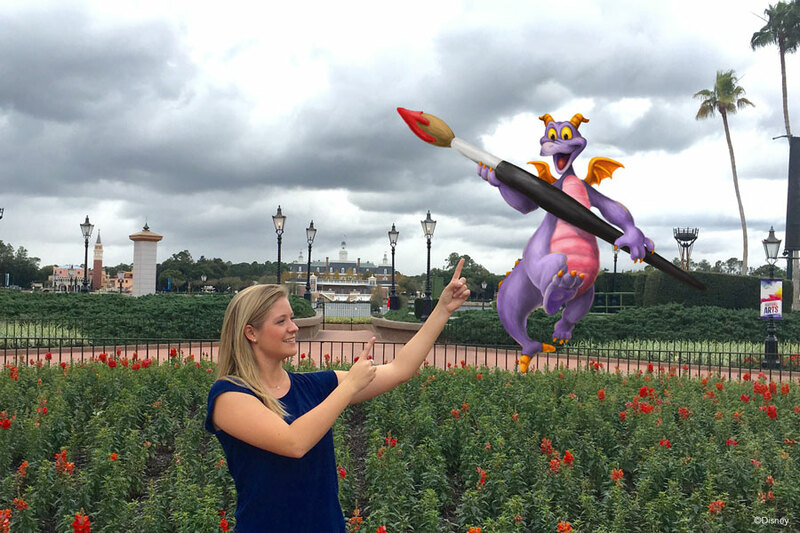 Guests with Disney PhotoPass Service will be able to take advantage of some very special Magic Shots that include Figment! These special shots will be available in Future World, World Showcase, and the main entrance of Epcot. Be sure to ask your PhotoPass Photographer to include those while you’re having pictures taken and have fun! Here is a look at one of the Magic Shots; you can find the others over on the Disney Parks Blog.